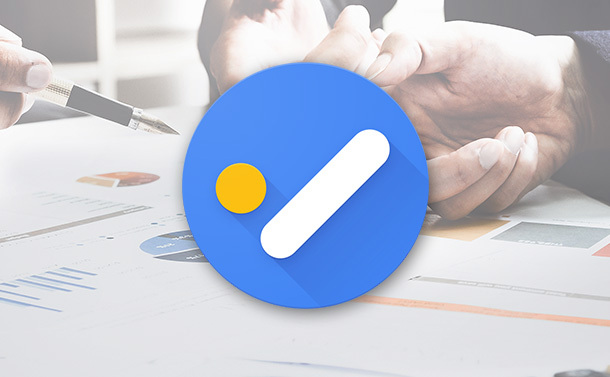 Finally, Google has launched its own dedicated Tasks app for both Android and iOS platforms, which will easily manage all our to-do activities. Tasks is Google’s latest attempt to bring us an amazing reminder service which will manage all our day to day tasks without any hassle. Google was already helping us with this since nearly 10 years by offering us digital to-do lists that came along with Gmail. But now you can get rid of all the third-party applications from your Smartphone and switch to Tasks instead. Recently, as Gmail’s design got revamped, so you will also find Tasks as a separate section on the right side of its window. Let’s quickly see what all Google Tasks offers us! Google Tasks app comes with a simple and clean interface and allows you to create infinite new lists from your account. 1. Download the Android app here or the iOS version here. 2. Once the app is installed on your device, tap on the small hamburger icon to create a new list and get started. 3. Tap on “Add a new Task” button and then hit “Save”. 4. Tap the tiny calendar-with-check mark icon button to add a reminder date for your task. 5. To view all your existing tasks head on to “My Tasks” section. You can also create extra subtasks on an existing task for more clarity. 6. You can also create different to-do lists for personal and professional purpose. If anytime you wish to move a task from one list to another, that’s pretty simple! Simply tap on the dropdown button next to the task and then pick the list name where it has to be moved. One of the major advantages that comes along with Google Tasks is that you can use it with multiple Gmail accounts. Switching between two accounts is also easy, simply tap on your account picture to switch and manage between accounts. Like we said earlier, Tasks is not just a dedicated app but is also integrated in Gmail’s design. In the new Gmail, you will find Tasks more visible on the main screen as it is no more buried inside the menus. You will see a separate section on the right where you can create and manage all your to-do activities in one place. No app is perfect, right? Yes, we do understand Google Tasks is one excellent application but it surely does come with certain flaws. Firstly, it doesn’t allow you to add any pictures or videos or any other media files on its interface. By dropping media files, we can have more additional info regarding tasks but as of now Google doesn’t offers media support. Secondly, there are no additional like perks like adding a location to a task, or prioritizing tasks by setting up time specific reminders. You can’t create shared lists, recurring tasks or set a priority level. Neither does it allow us to create color specific lists like iOS Reminders does. Might be Google is just working on something better. Let’s hope so (Fingers Crossed)! So, here are just a bunch of features which are omitted in Google Tasks design. Maybe we get to see better features in the future. Stay tuned! Overall, Google Tasks is a must try to-do application. Install it right away and get ready to keep yourself organized! Never miss a task again and by taking care of all important errands on time.